King Loudness's review"Great beginner level bass"
The Yamaha RBX170 is one of the lower tier basses in their line, but it's still a force to be reckoned with if you're looking for a cheap yet easy to play and great sounding instrument. They're built in Taiwan and feature an agathis body, maple neck with rosewood fretboard and 24 frets, standard tuners and bridge, and a pair of pickups, one P Bass style in the front and a Jazz pickup in the back. 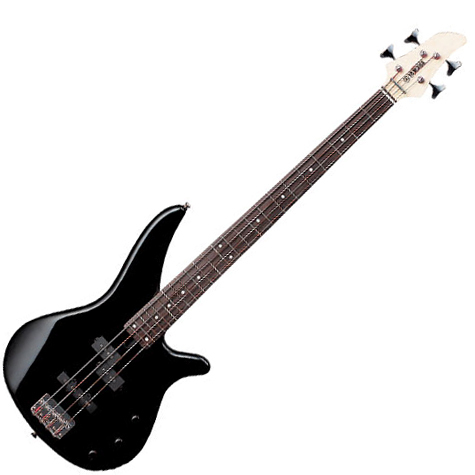 This offers versatility that you won't find in the average Squier or other cheaper basses. It's available in a variety of colours, but the mist purple is great looking and stands out from the pack. 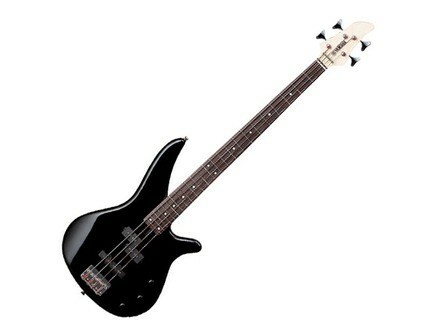 The design of this bass ergonomically blows away a similar Squier bass. The instrument is quite light and the shape is extremely player friendly. The fact that it has 24 frets is a huge plus as well. I particularly like the feel of the neck and how strong the upper fret access is (getting to the 24th fret is not a problem at all.) I'm a guitar player, so I like basses that are easy to play, and this one is probably one of the best cheap basses I've tried in that aspect. Getting a good sound is very easy. It offers both the thicker more strident P bass type tone as well as the punchier and clearer J bass tone, so you can have either one of those or even blend them for some fun. This bass sounds pretty good for being what it is. The stock pickups aren't to the quality of DiMarzio, Bartolini or Fender, but they do a good job here. The P bass pickup is great for thicker, more bass heavy tones that require a very big and full sound, whereas the J bass pickup is clear, bright and articulate, making it ideal for lead lines or a more trebly tone. This makes the bass ideal for a variety of styles, and combine that with the easy playbility and great design, and you've got just an excellent bass on your hands. All in all I think the Yamaha RBX170 is a great bass for anyone looking for something that's not too expensive, but has the quality, feel and tone of basses that cost a fair bit more. They are about $200 new which is a killer deal considering the excellent design and quality that goes into this. It will blow away a Squier or other cheapo bass, so give one a whirl! tilmanjulien@live.fr's review (This content has been automatically translated from French)" Ideal for beginners"
This bass is versatile and I think this is why it is done: an entry-level Yamaha made for the beginner who does not yet know to what they are going to turn. It can slam, it sounds very round too. Adjustments made, it sounds. With this bass, I played a Fender Rumble 25 Galien Krueger Backline then a 112. Since it serves as a decoration, I spent a few lines above I appreciate it for what it is: my first bass and therefore a good memory. AlexBadsmile's review (This content has been automatically translated from French)" My first bass ... not disappointed!" Before playing bass, I played on a folk guitar with a low-end stick as thick as a buche ... the difference was dramatic! The handle of the RBX170 is fine and very fast, unvarnished real highway! There is a small hand rests comfortable when playing with a pick for the game to the finger, one thumb rests on the bridge pickup, and it's gone! The sound? because I did not much like, this section could be incomplete, that being said when I wanted a particular sound, I managed to get it! I play on Fender Rumble 150w, usually in clear or with a little distortion added by the amplifiers. Nets mounted on plates Addario. Bridge pickup: Rock Sound! beginner, I do not play a lot with this microphone, but its a was a big mistake, he gives all the personality of this bass. Finger as a pick, it is very powerful and round, by modulating a little while we come almost to a close of his "Jack Bruce" in Cream. Crunch it fairly easily, metals see them happy! Both microphone and playing the tone: It comes against a standard set by turning the neck pickup to the max, the bridge was half and half a tone too, has left the modulated amplifier. I just wish it is not possible to switch between the two microphone, which then allows to put forward during the low crossing busy with the bridge pickup. Side slap, a friend slappiste said she was pretty good, even mounted flat nets. The sound is okay and modular, to be here a versatile bass. Overall I would say it's a very decent bass for a beginner or a sophisticated wanting to explore a little. The value for money is not bad, it was not the best coffee in the world but frankly it is very forward in its price range. BakaPowa's review (This content has been automatically translated from French)" Very good choice for beginners"
Handle very nice, well-designed shape for sitting and standing, with the strap, balance and more than correct. Access the latest cargo is done without any difficulty. I tried several lower in Milonga but in this price range, the Yamaha that really stands out from others. Handle end. Accs easy to treble. The sound comes out easily and is well adapted for rock. I like color, shape, handle end. It's a good bass for beginners. The handle is very nice, quite late, it can play fast enough. the sound is not complicated with three knobs rgler not need to have done mat'sup!